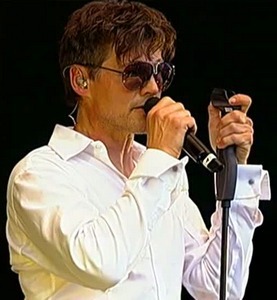 Morten is playing in Dorsten, Germany tonight, as part of WDR2’s “Sommer Open Air”. The whole concert will be streamed online at 7:20 PM (local time) here. Magne and Martin Terefe have been doing some recording sessions with Tini Flaat Mykland from The Voice at Kensaltown Studios in London this week. Yesterday Tini posted a picture from the studio on Twitter. “Incredibly grateful for fantastic session-days”, she writes. 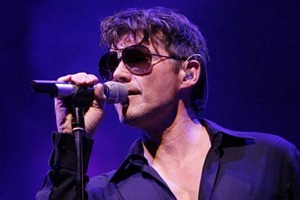 Morten will be one of the artists performing at an open air concert in the city of Dorsten, Germany on June 30th. He is scheduled to perform a 1-hour set, which will be broadcast live on the radio and streamed online (from what I understand). 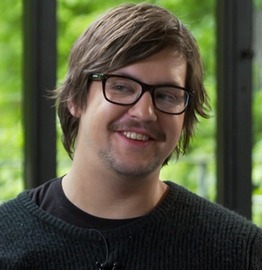 The concert is presented by radio station WDR2, and other acts performing include Rea Garvey (singer in the band Reamonn, which supported a-ha on the MEMS Tour) and the Norwegian band Katzenjammer. 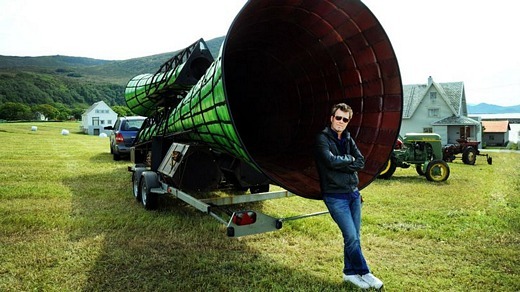 The organizers are expecting an audience of 30.000 people, and the concert is free of charge. 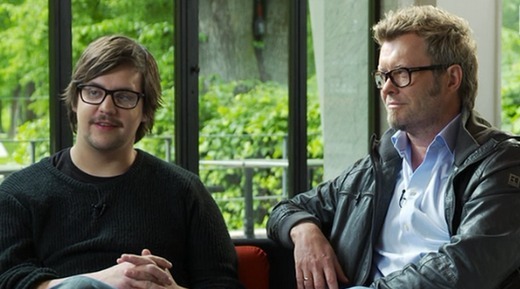 To promote the event, WDR2 has posted a video clip where Morten has to answer the questions he’s asked by miming. The questions are as follows; 1. Your favourite instrument? 2. How proud are you of the new album? 3. Where is the most beautiful place in Norway? 4. How do keep so fit? 5. What do you see in the mirror in the morning? 6. How will your performance in Dorsten be? A one-hour special about the first season of The Voice was shown on TV2 on Saturday, which included a new interview with Martin Halla and Magne, backstage clips and highlights from the show. – Has this contest been good for your self confidence? – What are your ambitions for Martin? – So you have worldwide ambitions? 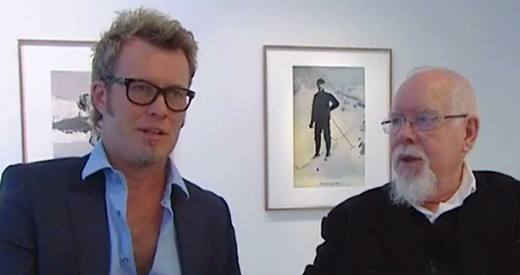 The renowned British artist Sir Peter Blake is in Norway this week, to hold an exhibition of his works at Magne’s gallery Stolper + Friends in Oslo. The exhibition is called The Oslo Suite and is inspired by Norway and famous Norwegians. Blake has also covered the nearby Shed 13 warehouse with his art, like Damien Hirst did last year. Yesterday he met the press together with Magne to talk about these projects. “I think it’s amazing that we have been fortunate enough to have Peter make a whole exhibition based on Norwegian characters, on Norwegian historical figures. And inspired by Norway. I think we should count ourselves very lucky to have Peter here and to have this exhibition happen”, Magne told NRK1’s evening news last night. There’s a video clip here (starts at 12:30). In addition to prints depicting Fridtjof Nansen, Roald Amundsen, Sonja Henie and Edvard Munch, Blake has also included a print based on a live photo of a-ha from the 80s, taken by Janne Møller-Hansen. 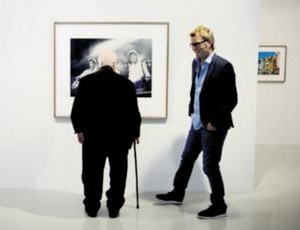 “When I was asked to hold an exhibition here, I wanted to base it on pictures of famous Norwegian people. 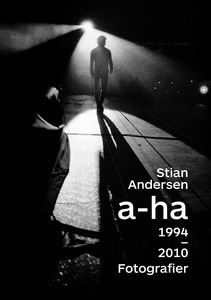 And since I’m a good friend of Magne, I wanted to include a-ha as well”, Blake tells Dagsavisen. Magne was perhaps slightly less amused. “For me it’s difficult to hang a picture of myself on the wall, but this is a choice that he’s made. Based on which Norwegians he’s familiar with. My entire budget for this year’s Christmas presents has now been spent on buying two prints for Morten and Paul”, Magne jokes. The Oslo Suite opens at Stolper + Friends tonight and will be on display until July 1st. Legendary mastering engineer George Marino passed away yesterday. During his almost 40-year long career at the Sterling Sound studio in New York he mastered hundreds of albums, including some of the most classic albums in modern music history. 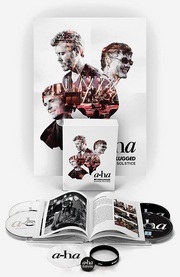 a-ha fans will know him as the man who mastered Lifelines (2002), How Can I Sleep With Your Voice In My Head – a-ha Live (2003) and Analogue (2005). 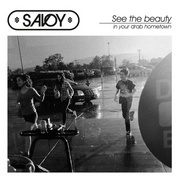 He also mastered the Savoy albums Reasons To Stay Indoors (2001) and Savoy Songbook Vol. 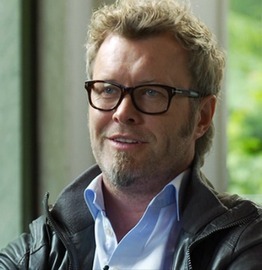 1 (2007), and Magne’s solo album Past Perfect Future Tense (2004). “Today Sterling Sound and the music industry as a whole has suffered a tremendous loss. 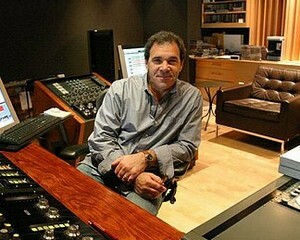 Senior Mastering Engineer George Marino lost his battle with cancer this morning. Words cannot express the sorrow we feel. George was family to us all and we will miss him dearly”, the studio said in a statement. Magne has been in the studio with The Voice-winner Martin Halla this week, to record an EP which will be released by Universal later this month. “On Tuesday we recorded an EP with several full versions of songs from The Voice plus an additional song, which will be released now in June. 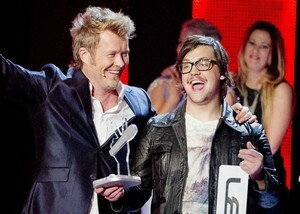 When that’s done, I’ll start work on a whole album”, Martin Halla told TV2.no. He was back in Bergen this weekend, where he did his final exam concert after studying music at The Grieg Academy for the past four years.